With their experience in running one of Mumbai's better known shopping malls, Phoenix Market City seemed to have figured out the best combination of shopping, entertainment and dining - all under one roof. This is also the first shopping mall in this city where brand-name restaurants have been added within the shopping complex. By that, I am discounting the McDonald's and KFC outlets which are ubiquitous in most upscale malls. 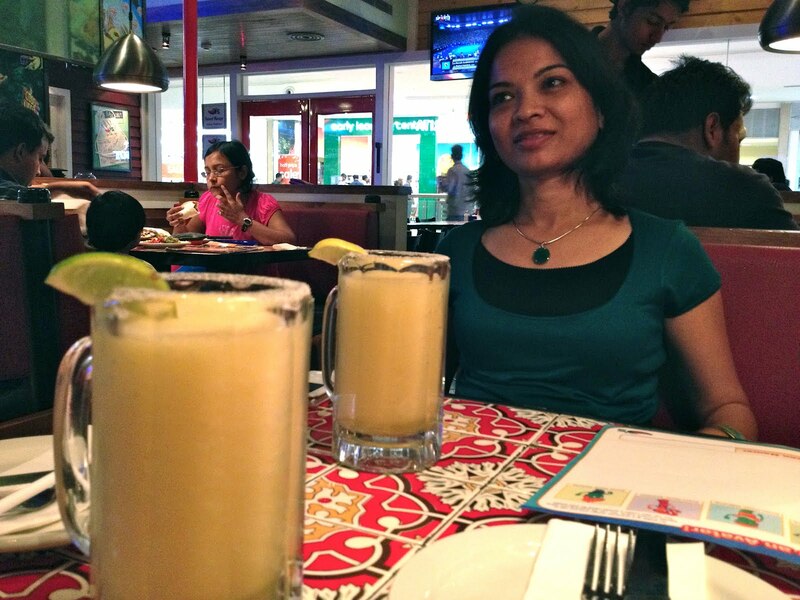 For those of you looking for a desi version of Tex Mex food, pop into Chili's which recently opened its first Pune outpost here. 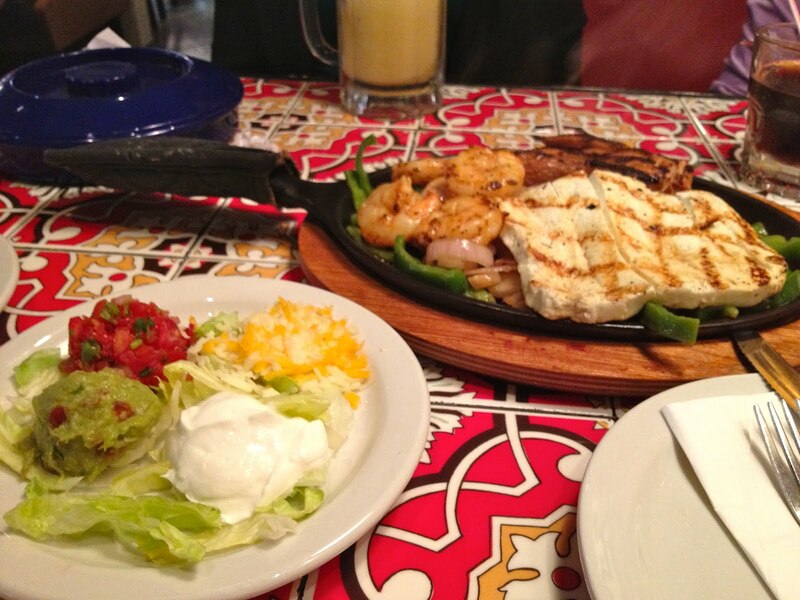 Much as I always do in Chili's restaurants in the USA, I ordered a Classic Margarita followed by a Fajita platter. 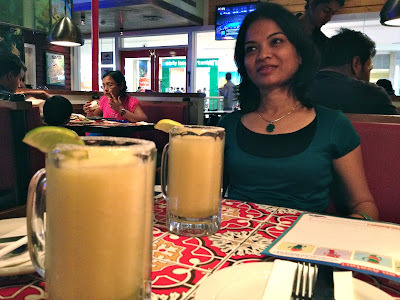 The Margaritas turned out pretty good but were served in beer mugs. The fajitas - a trio of chicken, shrimp and paneer - were tasty. The sour cream, guacamole, pico de gallo, etc., looked and tasted quite authentic too. 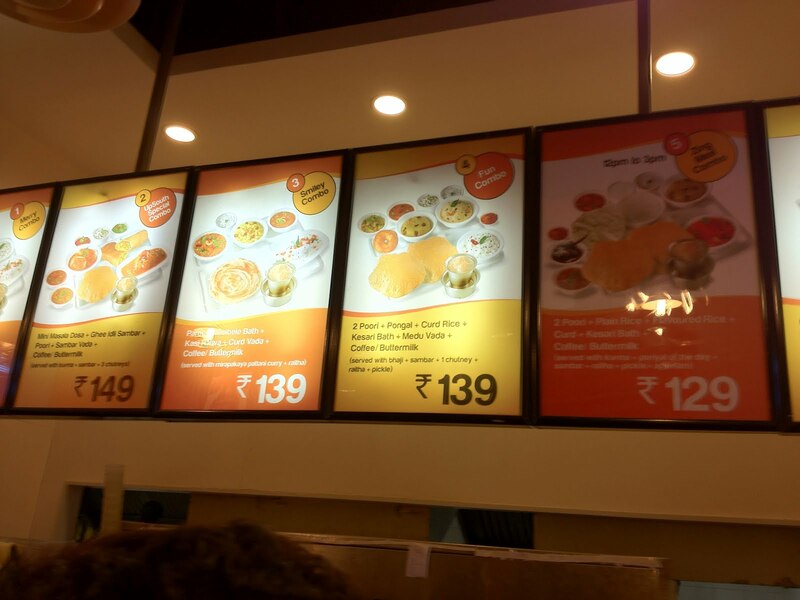 The paneer was, of course, part of their localization exercise for India. All in all, not bad at all. Not unless you are looking for an exact replica of the US experience where the portion would be larger and the paneer replaced with beef. The tortillas and the fried beans completed a decent meal. 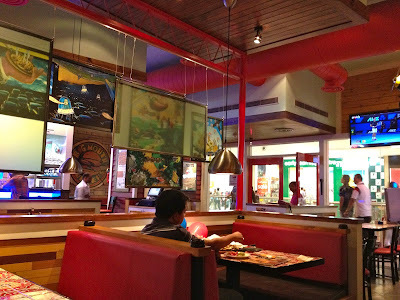 Pollo Campero is another international chain which opened its first city outlet in this mall. Known as the 'other fried chicken restaurant', Pollo Campero brings a flavor of Latin America into their fried chicken. It so happened I was watching Season Two episodes of Breaking Bad where a chicken restaurant called Los Pollos forms the backdrop for a major storyline. 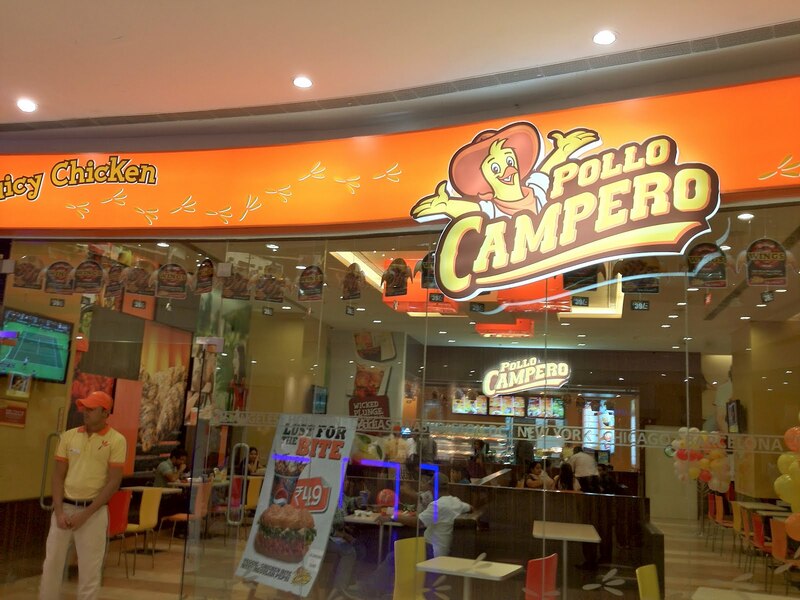 The moment I saw the red-and-yellow colors of Pollo Campero with a chicken-man advertising the store in the mall, I was struck by the similarities and wanted to try it. Pollo Campero is a Guatemalan fast-food chain, actually the largest in the Americas. The fried chicken Picante (meaning spicy) was good - but not particularly better than that from KFC which I love. The wraps were quite good and their virgin Mojitos are definitely better than any other drink you get at these outlets. 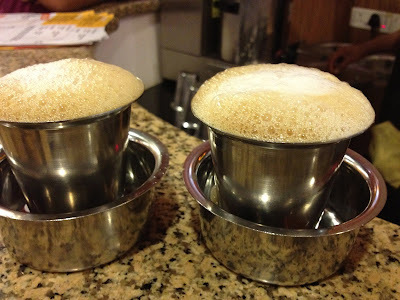 Up South is a quick serve South Indian place which actually serves up very good and authentic tasting stuff. 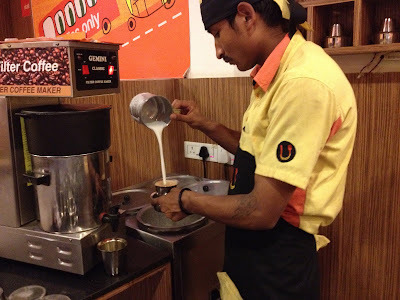 Parothas, puris, mini-idles are combined with the best sambhar and chutney Pune serves. 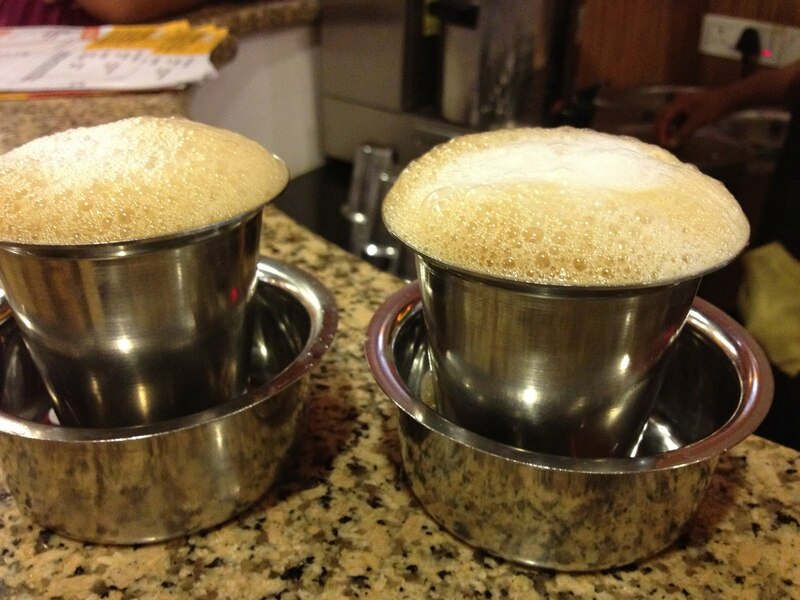 But the thing you really want to try is their authentic South Indian 'filter' coffee. 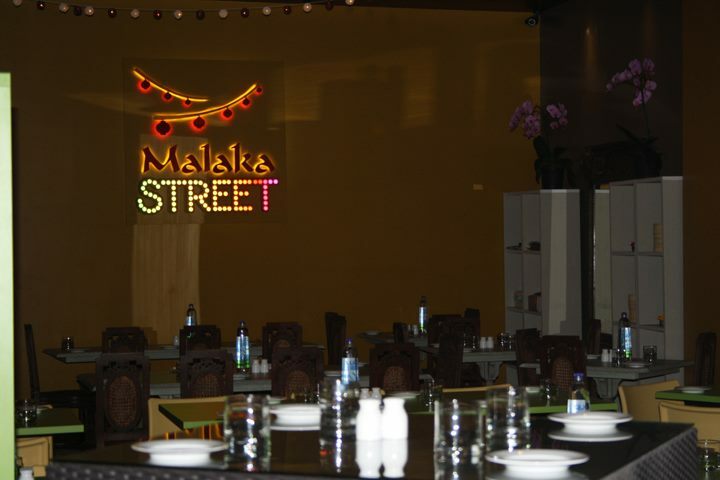 Which leaves us with Malaka Street. 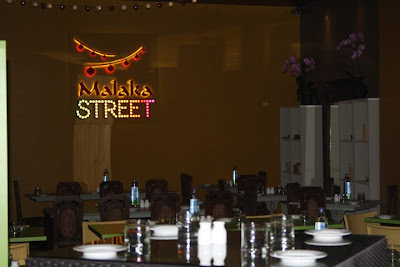 Classy, like its sister restaurant in Korgaon Park, Malaka Spice focuses on the many delicious street foods from the South East Asian countries. 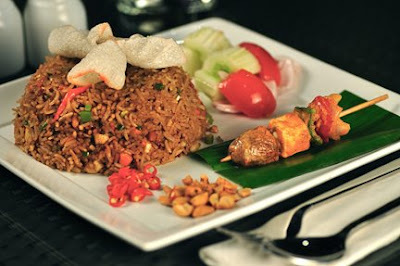 Satays, 'top hats', tossed prawns, Pad Thai, Nasi Goreng. You get the drift? There are many more. ZK's has a second outlet here and the best news? Jiggs Kalra's Punjab Grill is expected to open here too!